All products which can be shipped by parcel through carriers such as Canada Post or Purolator will be identified as such. They will be shipped within two business days of your online purchase. Delivery is free with any purchase of $49 and over (before taxes). Once you have completed your online order, you will receive a confirmation email which will give you additional information regarding your order’s status. You will also receive a tracking number supplied by the carrier so that you can track your order online. If you wish, you can authorize Purolator to leave your package at your door. To do so, please visit Purolator.com Shipping Services and select Signature Not Required / Origin Signature Not Required. If you wish, you can have your package shipped directly to a convenient post office for pickup. To do so, please sign up for Canada Post Flex Delivery TM service. One or more products of your online order are ready for shipment! Please use the tracking number provided for each product (see below) to follow shipping progress. Please allow 24 hours for tracking information to be updated on carrier’s website. For orders over $250, a signature will be required upon delivery. Delivery is not available to specific remote areas, such as the Yukon and the Northwest Territories. As soon as one of your products is ready (you will receive an email for that purpose), you can pick it up at your selected store. You may also wait until your entire order is ready before picking it up. From the moment your entire order is ready, you must come and pick it up at your selected store within 7 days. After this period, your order will be cancelled, and you will be refunded. When picking up your order, please provide a photo ID and a copy of the confirmation email. You may contact your store for any question regarding your purchase. This service is available in most of our stores at the cost of $75. Your products will be delivered in 4 to 10 days after your online order. Our expert centre will contact you to book an appointment in approximately 72 hours for appliance delivery and 24 to 48 hours for the delivery of other types of products. For any special handling need or any other specific request, please contact your selected store. Some additional charges may apply. When your items are delivered, you must be present and provide a photo ID. It is possible to make online purchases via the RONA website. Those purchases are subject to these conditions, which are applicable to online item purchases. Please read them carefully, for when you buy via this website; you agree to be bound by these terms and conditions along with any modifications made by RONA Inc. from time to time. Please note that the information on this website is based on the data available to RONA when this website was developed and is the best we were able to obtain overall. Despite the care taken by RONA, errors may have occurred. However, no guarantee, implied or explicit, is made with respect to the RONA Inc. website and/or the information contained therein. For a precise description of any product, please refer to the text that appears in the description of the illustrated product. RONA reserves the right to cancel an online order at any time without notice. Inventory shown as of yesterday. RONA Inc. makes every effort to stock sufficient quantities of the products on its website. However, RONA Inc. cannot guarantee the availability of these products. Despite the care taken by RONA Inc., errors may occur. When there is an error in pricing or product availability, it is corrected by our system. Certain items may be slightly different from the images shown in the detailed product description on the website. RONA will not be liable for any damages from stock shortages or delays in delivery. The prices shown on this website are based on the prices at which items are sold at L’Entrepôt RONA, Home & Garden by RONA and RONA stores. Due to unforeseeable market fluctuations, RONA Inc. reserves the right to change the prices of products featured on its website at any time, without prior notice. All prices quoted on the RONA website are in Canadian dollars and are for illustrative purposes only. The prices of products featured on this website may differ from the prices shown in stores for the same products. The prices of identical products may also vary by store. Certain charges may also be added in store. All prices exclude the applicable federal and provincial taxes. The applicable tax rate may vary by province and period. Federal and provincial taxes are based on the prevailing rates at the time of purchase. All amounts are in Canadian dollars. You can make your online purchases with a credit card by entering the cardholder’s name as well as the billing address during the online purchase process. VISA and MasterCard credit cards issued by Canadian banks and the RONAdvantages, RONA VISA Desjardins and RONA Commercial cards are all accepted. For authorization purposes, payment information is transmitted to Optimal Payments via SSL. RONA complies fully with all PCI standards. RONA reserves its right to confirm the validity of the transaction with the cardholder. Prepaid cards are not recommended for making online purchases. You can now pay for your online purchases using PayPal. It is a fast and safe way to pay and is used in millions of stores worldwide. Signing up for a PayPal account is free, and there are no fees when making purchases. Look for the PayPal button at the checkout. Log in by entering your email address and password. PayPal will process the payment without sharing your financial details. If PayPal was used for your purchase, your Paypal account will be credited for the return amount. Certain exceptions may apply; please read our policy for complete details. Depending on the weight of your order, it will be delivered by Canada Post or by Purolator. Once your order is shipped, you will receive an email with the designated carrier’s tracking number. If any of the items in your order are damaged upon receipt, please contact our Customer Service team, Monday to Friday, from 8:00 AM to 9:00 PM (ET), and Saturday and Sunday, from 8:00 AM to 5:00 PM (ET) at 1 866 283-2239. Are there products which cannot be delivered by a carrier? Any item whose weight exceeds 68 kg, or whose size exceeds 270 cm long, or whose total measurements (length + 2 x height + 2 x depth) exceed 419 cm cannot be delivered by parcel. Other restrictions may apply and change without notice. Are there areas to which carriers will not deliver? The Yukon, Nunavut, Northwest Territories, as well as Newfoundland and Labrador, are excluded from parcel delivery. Furthermore, specific postal codes in remote areas, the Anticosti Island and Northern Quebec are not eligible for delivery. To find out if delivery is possible according to a given postal code, enter it in the shopping cart when purchasing online. Alternatively, you can contact our Customer Service team Monday to Friday, from 8:00 AM to 9:00 PM (ET), and Saturday and Sunday, from 8:00 AM to 5:00 PM (ET) at 1 866 283-2239. Are there fees for carrier delivery? Should someone be present to receive my parcel? If the total amount before taxes of your order delivered by parcel exceeds $250, a signature will be required upon delivery. If no one is present at the time of delivery, you will receive a delivery attempt notice with information on where you can pick up your shipment. There will be a notice in the online order confirmation email stating whether a signature will be required or not at the time of delivery. Once your order is shipped, you will receive an email with the tracking number so that you can track your order online. If you have lost the email or have not received it, please contact our Customer Service team Monday to Friday, from 8:00 AM to 9:00 PM (ET), and Saturday and Sunday, from 8:00 AM to 5:00 PM (ET) at 1-866-283-2239. How do I return my purchase if a carrier delivered my order? To return a parcel through means of the carrier which did the delivery, please contact our Customer Service team Monday to Friday, from 8:00 AM to 9:00 PM (ET), and Saturday and Sunday, from 8:00 AM to 5:00 PM (ET) at 1 866 283-2239 to get a product return form. You may also return an item delivered by parcel in any one of our stores, within 90 days of the parcel delivery. See the Appliances section to learn more about the delivery policy on appliances. When you choose home delivery, the employee responsible for the delivery service will contact you within 24 to 48 hours following your purchase to make an appointment. Your purchases will be delivered by truck to your door where applicable. Larger items such as lumber, drywall, flooring, etc. will be delivered to the curbside only. Please note that our delivery service is only available within a 50-km radius from the selected store. For handling needs or other specific requests, contact your selected store – additional charges may apply. RONA will not leave merchandise at an unattended site – additional delivery charges will apply for subsequent delivery to the site. This service is available in most of our stores at the cost of $75. When you purchase online, it is possible to indicate a third party for in-store pick-up. This person must be 16 years old or older. You, or the authorized person, must bring a copy of the confirmation email as well as a piece of government-issued photo ID to verify the identity. To partially or totally cancel an online purchase made via the RONA website, simply contact the store you selected for your purchase or call 1 866 283-2239 (toll-free) Monday through Friday, between 8:00 a.m. and 9:00 p.m. (ET) and Saturday and Sunday between 8:00 a.m. and 5:00 p.m. (ET). Please quote the order number indicated in the email you received. A refund will be made to your account on the original method of payment. Please allow 5 to 7 days for the refund. 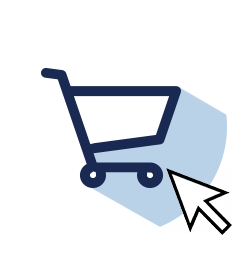 RONA reserves the right to cancel an online purchase at any time before the item is delivered or picked up at the store, without prior notice. Via the RONA website, you can purchase RONA gift cards online across Canada, except the Yukon, Nunavut, Northwest Territories and Quebec's Far North. These purchases are also governed by conditions below applicable to online gift card purchases. Please take the time to read them carefully, because, by purchasing gift cards through the website, you agree to be bound by these conditions and any changes made by RONA Inc. from time to time. To cancel a gift card order placed on the RONA website, simply contact Customer Service within 24 hours of making this purchase or call 1 866 283-2239 (toll-free) Monday through Friday, between 8:00 a.m. and 9:00 p.m. (ET) and Saturday and Sunday between 8:00 a.m. and 5:00 p.m. (ET). Please quote the order number indicated in the email you received. Once the gift card is received by the recipient, it is impossible de cancel the order. The delivery of gift cards purchased through the RONA website is available across Canada, except the Yukon, Nunavut, Northwest Territories and Quebec's Far North. Gift card delivery varies by destination. Gift cards are delivered 2 to 5 days following the confirmation of your order in major urban areas and within 7 business days for remote locations. However, orders placed after 12:00 p.m. on Friday will not be processed until the following Monday. Your order is subject to the delivery policies and procedures of Canada Post’s shipping service, the courier service RONA Inc. uses to deliver gift cards purchased on its website. You can track the delivery of your order on Canada Post’s website, which gives you direct access to the Canada Post tracking system. You will need to enter the tracking number associated with your delivery to do a search. This number will be in the e-mail RONA Inc. sends you to confirm your transaction. Gift cards that are part of orders delivered by truck or picked up in store will be delivered by the same means, and will not be submitted by mail. See the Appliances section to learn more about the returns and refunds policies of appliances. If for any reason you are not 100% satisfied with your product, return it in the 90 days following your purchase, in its original condition and packaging with your original receipt for a refund, exchange or store credit. Some exceptions and conditions apply. To find out more on returns and refunds, consult the Return Policy page. Notwithstanding this Return Policy, RONA Inc. reserves the right to limit or refuse a return for a reason not stated above. This Return Policy may be modified at any time without notice. RONA inc. uses the Optimal Payments Plc payment service. Any information you transmit on rona.ca is processed by a data encryption system called Secure Socket Layer (SSL). The moment you visit a secure page, your browser will post a message indicating that the document you have requested is secure, and informing you that the information you transmit through that page will be encrypted to guarantee its confidentiality. The page address will begin with "https." During an online purchase, the payment page is sent to Optimal Payments Plc’s verification service so that RONA does not keep the banking information entered in its systems. The Consumer Protection Act gives a warranty on all goods you purchase or lease from a merchant. The goods must be usable: for the purpose for which they are ordinarily used (section 37 of the Act) and in normal use for a reasonable length of time, which may vary according to the price paid, the terms of the contract and the conditions of use (section 38 of the Act). For more information on this legal warranty, go to the Office de la protection du consommateur website at www.opc.gouv.qc.ca. For more information on our "Online Exclusive" product, visit our Q&A.